Shahid Afridi has always voiced his support for conducting a bilateral series between India and Pakistan. The Former Pakistan captain has now called for cricket to be used as a medium to pacify the hostile relations between the two countries. India and Pakistan last played a bilateral series in 2007 when the Pakistani team travelled to play three Tests and five One-Day Internationals. The two teams have only met in ICC and Asia Cup tournaments since 2007. Former Pakistan captain has yet again rooted for an India-Pakistan bilateral series and has called for cricket to be used as a tool to improve the hostile political relations between the two countries. For years the two of cricket’s biggest rivals have not been a part of any bilateral series as tensions continue to surge on the borders. Afridi has requested the two governments to keep politics away from sports and let the players from the two countries meet each other on their home turf. Cricket has suffered badly due to the volatile relations between the two countries who haven’t played a series since 2007 and have only met in the ICC or Asia Cup tournaments. 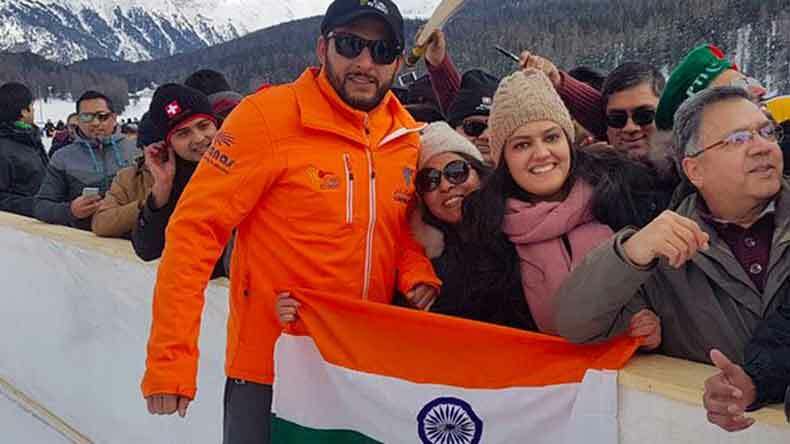 Recalling his worthy experience of playing with Indian cricketers after so many years, Afridi reckoned how lack of international cricket has left the cricketers of the two countries playing outside their homes. “Due to lack of international cricket between the two countries, we now play either in the ICC tournaments or the events such as Ice Cricket,” Afridi told Wisden India. He also spoke about meeting the Indian players and playing with them on a snowy turf after so long and added that the players from both the countries should continue playing in such tournaments and also meet in international cricket. The last time Pakistan and India met in a bilateral series was in 2007 when Pakistan travelled India to play three Tests and five One-Day Internationals. However, the two teams have continued playing in all major competitions like the Asia Cup and the ICC trophies. Recently Pakistan defeated India to win the Champions Trophy in England under the captaincy of Sarfaraz Ahmed, who led the team spectacularly well. Pakistan crushed India by a mammoth 180 runs to lift the first ever Champions Trophy title.